CAST: Our cast size is planned for approximately 32. ALL roles are open to rising 9th-12th graders, college students, and young adults in their 20s and 30s. Plus we need 2 children: one 7-10 year old boy under 54″ tall, and one 9-13 year old girl under 60″ tall. 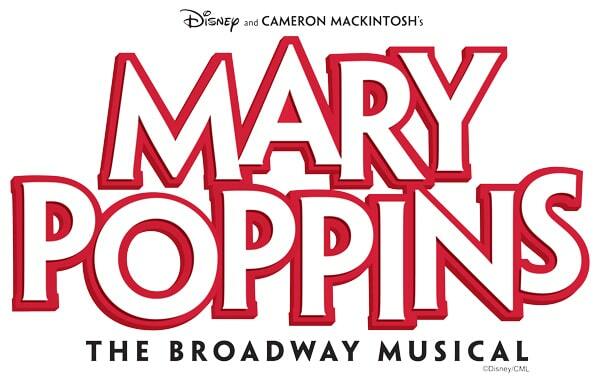 Mary Poppins F 20s/30s Mezzo Soprano; a dynamic triple threat who is "practically perfect in every way"
Bert M 20s/30s Baritone; sincere and comic with ability to Tap, Sing, and be a lot of fun! Dance & Singer Ensemble 6 Women, 3 Men range play lots of roles throughout production! REHEARSALS: Those cast will only be called to rehearsals when needed, sometimes for parts of rehearsals as well (you will not be called to every single rehearsal until July). The bulk of rehearsals will happen on Saturdays from 9:00am-1:00pm, Sundays from 5:00-10:00pm and two additional floating weekday evenings from 6:30-10:00pm. Those preparing to audition should do everything possible to keep those dates and times available. PERFORMANCES: The production will run July 16-21, with required strike (take down of all set/lighting/clean-up) on July 22. Choose one of our audition blocks on either Tuesday, May 14 or Wednesday, May 15 below after you have read this information. Plan a one minute audition to show off your VOICE (most roles require singing in this show) or DANCE (tons of dance needs in Poppins) or BOTH. It’s up to you. Also, be advised that we expect your vocal and/or dance performance also demonstrates your ACTING ability (every role requires strong acting)! If you are not a singer, you have the option to prepare a 45 second – 1 minute monologue. SINGING: Prepare a roughly 45-60 second song (32 bars). Do not choose a piece from Mary Poppins. Arrive 10 minutes early, bring your sheet music (or iPod/smartphone out of its case), and bring your completed Audition Information Form. We are providing a fantastic pianist for your accompaniment (but speakers will be available too). NOTE: If you choose to perform a song, we much prefer you to bring sheet music for our audition accompanist (a cappella singing is not desired). DANCING: If you decide to use your time for dance, please provide music via an iPod or smartphone (not in a case). We will provide speakers. We ask you avoid a burned CD if possible as they often cause problems playing. *** CHILDREN AUDITIONS: Auditions will be Tuesday, May 14 in the early evening. BOTH Jane & Michael learn this song (even boys sing the girl part, but without an accent): https://www.youtube.com/watch?v=fNTzp9grp2Q and disregard other audition notes*** Register with the link found below. CALLBACKS: Callbacks will occur Sunday, May 19 from Noon – 4:00pm and are reserved for those who are called back to a second audition — KEEP THIS TIME OPEN! Our callback list will be announced here on our website no earlier than 7am and no later than 3pm, Thursday, May 16. The final cast list will be posted on our website Sunday, May 19 sometime between 9:00pm – Midnight. Check www.UpperRoomTheatreMinistry.org for updates! Though Callbacks are extremely important to the casting process, it is possible to be cast without being available. Be sure to notify the Stage Manager upon arrival at Auditions that you would not be available for Callbacks and be prepared to stay a little longer that evening. FIRST REHEARSALS: Our important full company first rehearsal will be on Tuesday, May 21 at 6:30pm. Then we will begin more music rehearsals on May 23, 25, and 26 (subject to change depending on conflicts). But as mentioned above, not everyone will be called for all the future rehearsals, depending on what numbers they are in and what conflicts exist. ADDITIONAL INFORMATION: Upper Room Theatre Ministry is sponsored by All Saints Catholic Church. Casting will result in a mixture of members from All Saints in addition to those outside the church membership. We certainly welcome anyone within the required age ranges to audition. Be aware that because we are a ministry, we incorporate prayer into our rehearsal process by beginning and ending our rehearsals with prayer and dedicating our efforts to God. You don’t have to be Catholic, just open to allowing faith into the theatrical process. Everyone is a volunteer. Any money that is made as a fruit of the production is directly contributed to helping pay for theatrical renovations and youth ministry spiritual opportunities and missions. Anyone involved with our production over 18 must be Virtus-approved (this is our child protection program, since we will have people involved with the production under 18). It’s EASY to be approved as long as you fill out paperwork (this is the link to Virtus paperwork), permit a background check, and attend a 3-hour training on a Saturday morning. You can learn more at www.virtus.org (our diocese is Arlington). QUESTIONS? Feel free to call the director, Rob Tessier, at 703-393-2141 or email auditions@allsaintsyouthministry.org. Step 2) Fill out all of the required information and click “CONTINUE”. Then confirm your information on the second page. Step 3) Read ALL of the very important audition details, tips and expectations in the email we send you. We will be emailing you a special document that you need to review and fill out.